We love Fall and all of the amazing activities available during this fun time of year. If you're into something spooky, check out these haunted farms below. Enter at your own risk! During the day this corn maze is friendly and fun, but once the sun goes down it's full of frightening and spooky characters! 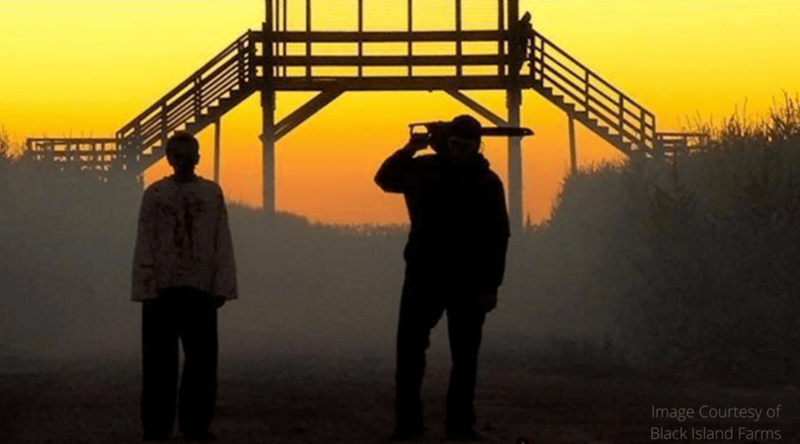 There are a ton of other activities to enjoy if you're into something a little more tame, but if you're into something spooky this Haunted Corn Maze is great for ages 10 and up. 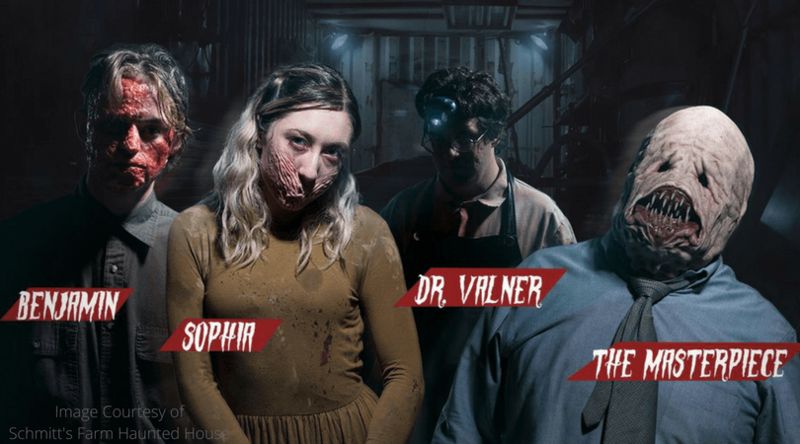 As if one haunted house isn't enough, this farm has fsix to choose from – Legends: The Witch, Dark Carnival, The Bunker: Area - X, Phoenix Haunted Hay Ride, The Undead, and The Slaughterhouse. 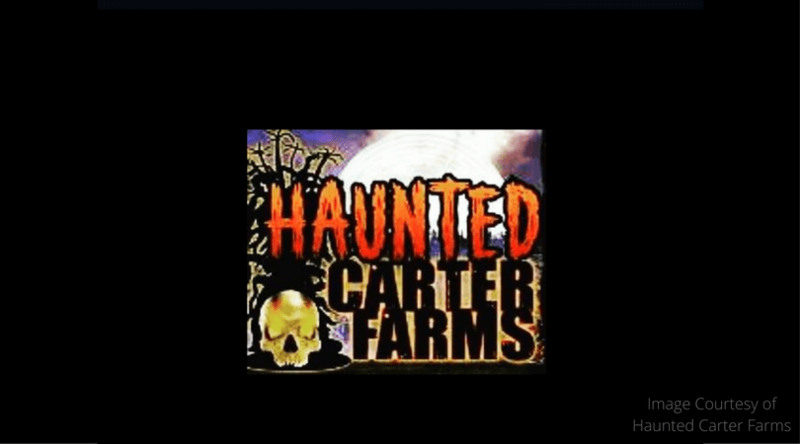 This is one farm that is sure to have you spooked! How do we say this politely? There's a fabulously frightening film that shows you how limbs are dismembered, and it transports you to another world. It sounds horrifying, to say the least. However, people flock here to be scared out of their wits! And then scared throughout the corn maze. I don't see any kiddies coming to this one. Around for 20 years, the Schmitt’s have perfected the haunt! Ready for this one? Gore, guts, disgusting and terrifying! And if that's not enough, picture this - a scary clown with scars chasing you with a chainsaw! 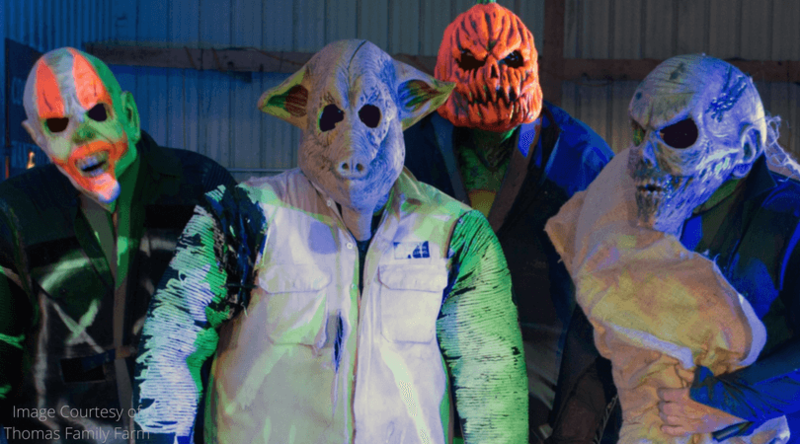 After you've had enough of the horror show, let off some steam at the Zombie Paintball Hay Ride! We recommend leaving the kiddos at home for this one. Journey into the mysterious and join in on the Halloween spirit at Boyette Family Farms! During the daytime, you’ll be able to pick pumpkins, play ball toss, milk cows, and much more. At night - the ZOMBIES come out to play! 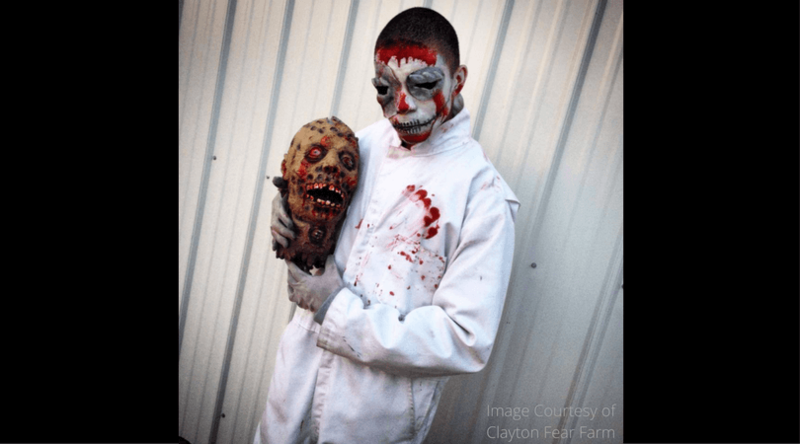 Clayton Fear Farm transforms into a haunted scream park, where you’ll experience attractions such as the terrifying Fear Farm Academy, the horrific Slaughterhouse meat-processing plant, a dive into a dark abyss, known as the Black Hole, and much more. Are you willing to go to Nightmare Acres? 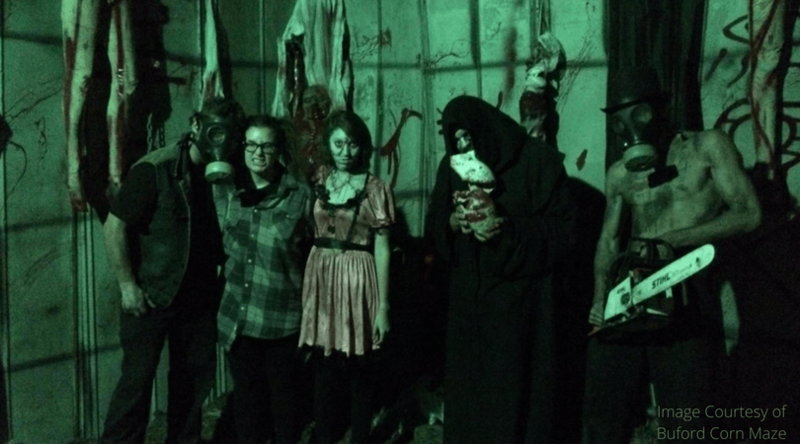 We hope you’ll be brave enough, because this Utah farm is where you go to have nightmares, NOT sweet dreams! Get lost in the vast, bone-chilling maze with your friends and family, but BEWARE - even the most spirited of adventurers rarely make it through. Step into a new dimension in this petrifying, Iowa labyrinth. With twisting paths, haunted corn maze, and the living dead all around, we’ll pray that you make it out! If you think that’s too easy for you, test out the indoor maze in 3-D, and you’ll definitely get scared out of your mind. Plus, this year they're offering Zombie Laser Tag so bring those running shoes! 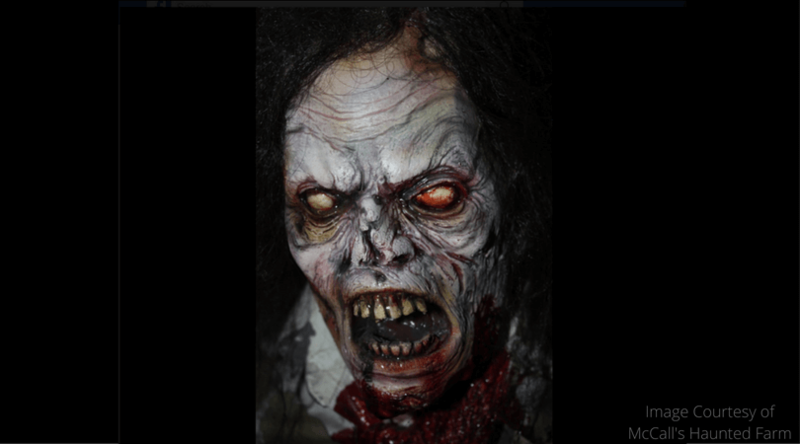 Head over to McCall’s Haunted Farm and hop on the blood-curdling Zombie Hunt - but watch out! Throughout the haunted corn maze, you’ll find herds of post-apocalyptic creatures, longing for human flesh. There's also the Haunted Barn home to the McCall Family Butcher Shop – we hope you make it out in one piece! During the day, Roca Berry Farm offers up SO many family-friendly activities, ranging from Bunnyville and Candyland to the Duck Races and Corn Corral. BUT when the sun sets, this Nebraska estate morphs into Roca Scary Farm! Are you brave enough to take a spin on the Haunted Hayride? Do you think you can make it through The Psycho Path? What about the Zombie Hunt? We hope you last at this haunted manor! 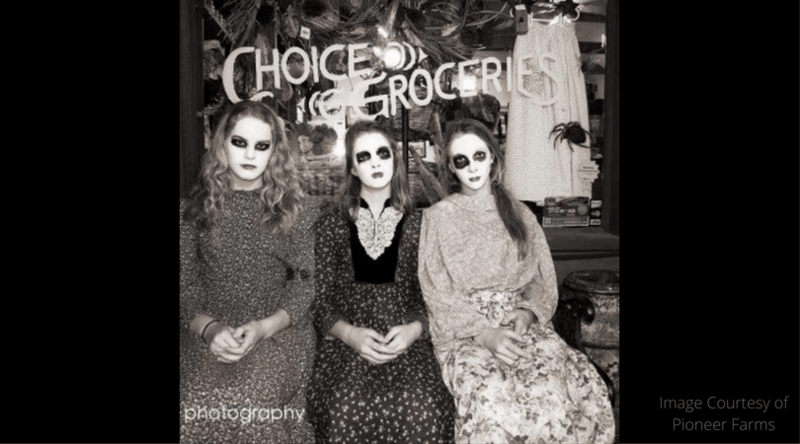 A tradition in Austin, come to Spooky Town and visit fortune tellers and a must-see history show at all ages. Visit Sprinkle Corner Village, where guests will have the chance to venture through the mysterious, haunted trail - but at the hands of the legendary creatures of the night. This year's Pioneer Farms feature three separate spooky trails — one for younger kiddos, another for those who want to be spooked, and a third super scary trail for the brave! 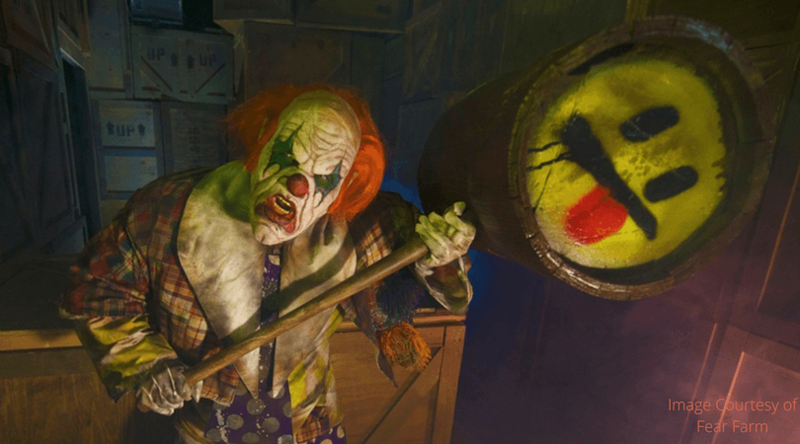 We hope you get scared out of your wits while having a ton of fun this October! Check out our Farm Finder for some really amazing farm near you. Happy Haunting!